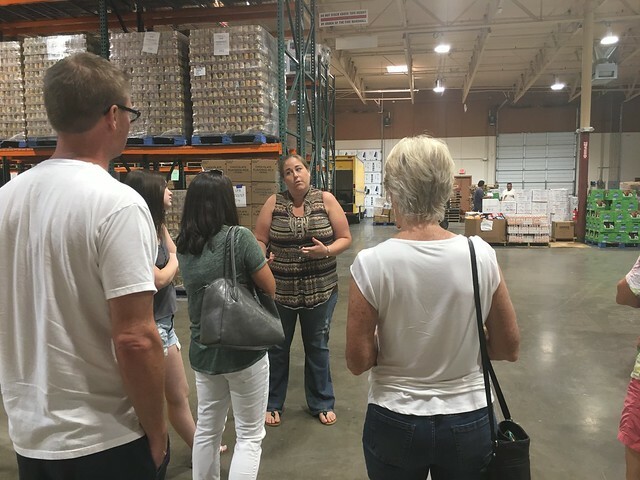 Who could turn down an opportunity for a private tour of Midwest Food Bank? You can be sure we didn’t! If you check the link, you’ll see there are many locations. Gilbert, AZ, is their newest. 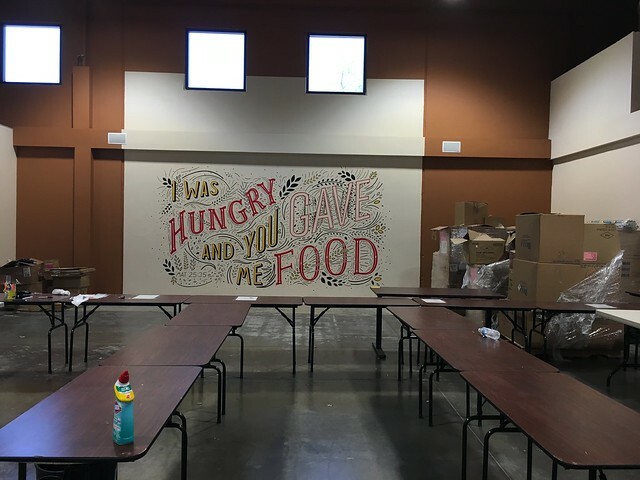 In fact, they were just getting organized when we toured this remarkable facility. I didn’t ask, but it looks like these tables are set up for assembly. But my interest was drawn to the painted mural. 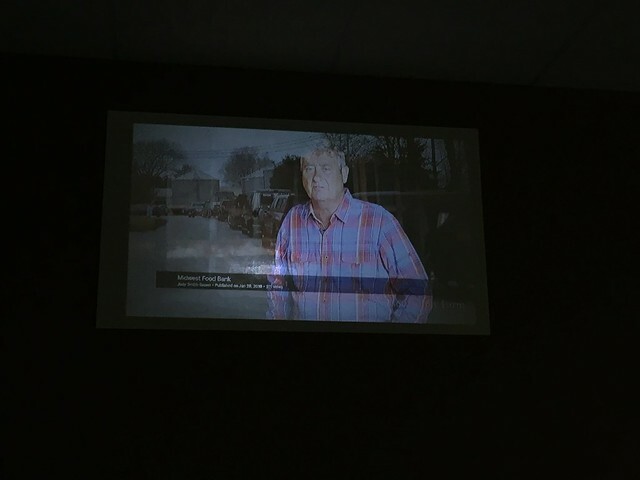 We were led into a large empty, yet-to-be-carpeted space to watch a 13-minute video about the work. Here, I found it online. Our guide, Lauren Leverette, serves as executive director of the Gilbert branch. She is one of only three paid staff; all others — and I repeat there are many — who give their time and resources to keep this ministry going. Ah, you’re wondering why this matters to us! 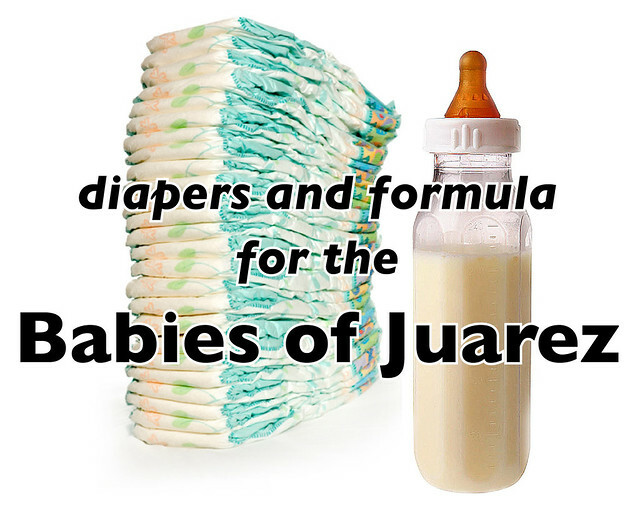 Babies of Juarez (a.k.a. Blessing for Life) has a shiny new 501(c)(3) all its own! Up until recently its tax-exempt status has been supported under The Shepherd’s Way in Colorado. 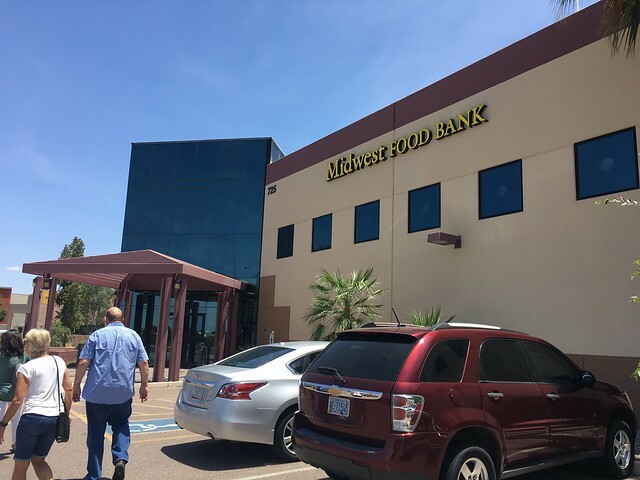 And now, through the generosity of a supporter, BoJ is an Arizona ministry — here is the connection — and the only requirement to join in the benefits Midwest Food Bank offers. Put the two together and think of the possibilities when Costco or Walmart or RiteAid . . . want to unload expired diapers and/or formula! Quinn will be first in line to help distribute them to people in need.